Just over 50 students participated in the service-learning project Cople Garden. After using the lesson Helping Others with a Garden, students grew and enhanced the garden in their school courtyard. The 4th graders were able to provide vegetables and herbs to families in the school community. In April, they will be planting a tree, five flowering bushes, more herbs, and a few blueberry plants to add to their garden. 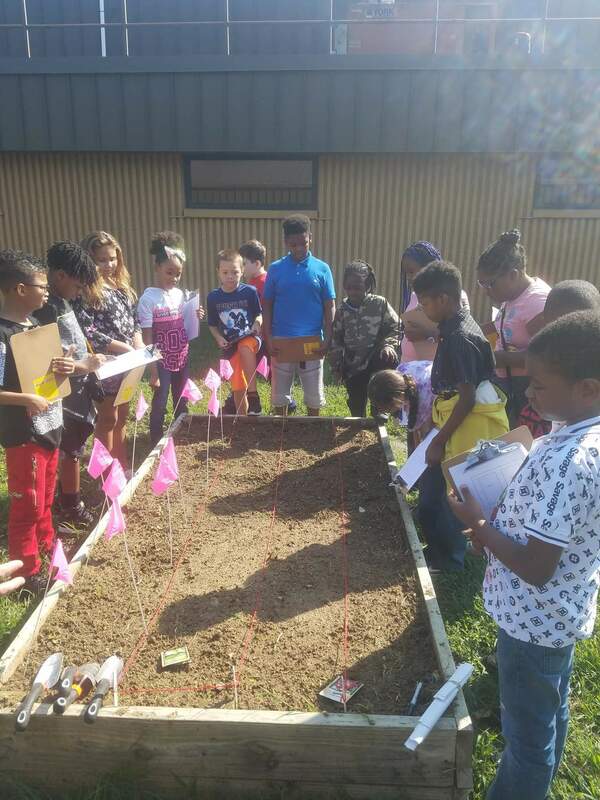 Students took on leadership roles with the planning, planting, watering, and weeding of different sections of the garden beds. 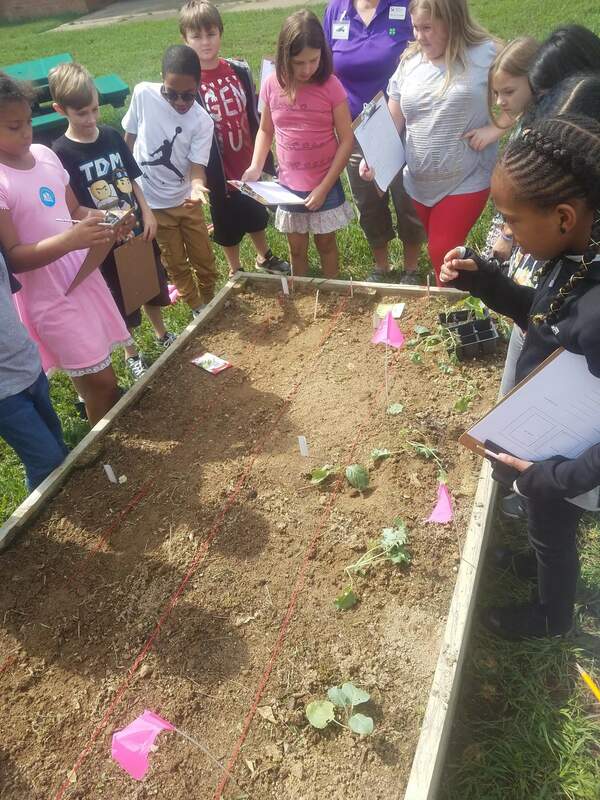 Each class got one garden bed and students within the class chose which plants to grow from the vegetable and herb options available. Learning to Give’s mini-grant helped to fund the seeds, plants, bins to collect items, mulch, and tools used in the garden. One of the many academic and emotional impacts noticed was that the students listened to the opinions of others and came up with solutions to questions and problems, allowing them to work together successfully. Working with plants helped to solidify their knowledge of plant anatomy and the needs of plants. They gained an understanding of the joy and excitement that you can feel by taking pride in what you do and sharing the benefits with others. Students became aware of how simple it is to create and tend to a garden. Many students expressed that they shared with their families they would like to have a garden at home. Students tried new foods and became aware of the several varieties of herbs and vegetables available. They even extended into researching recipes that used all the vegetable and herbs they grew. Mrs. Birdsall plans to get students involved in the garden each year and wants to try growing a variety of vegetables and herbs. Through growing the fruit and flower bushes, the garden will enhance the beauty of their schools’ courtyard and opportunities for students to learn. Ms. Birdsall seeks to continue to expand the knowledge of healthy food options with students and to share the vegetables and herbs with the community.